A Facilitated Discussion Group for Seniors: meets the 2nd and 4th Tuesdays of every month at the Fire Station on Grout Ave in Westminster from 11:30 to 1:30. The Group was initiated in 2002 as a means to decrease the social isolation and resulting depression of seniors in our rural community and to provide a safe, confidential, professionally-facilitated forum for the discussion of topics related to successful aging. The group meets twice monthly, and consists of a one hour facilitated discussion followed by a social pot-luck lunch. A wide variety of discussions have taken place in the Group. Some have explored aging alone or with a partner, the role of Medicare in their health care, dealing with adult children, loss of independence and surviving health crises. Attendance is free of charge, but donations are appreciated and accepted. The leaders are Karen Walter and Priscilla Allbee. The leaders are Ronnie Friedman and Joyce Rodgers. The program focuses on strength, balance and flexibility exercises for the body. Strength training using ankle weights, dumbbells and the body’s own weight helps to build stronger muscles and bones. Balance exercises are performed to enhance agility and decrease the likelihood of falls; and flexibility exercises are performed to enhance joint mobility and reduce the risk of injury. Exercising in a small group also provides important social contact for older adults and is a key component of the program. We have started a new Tai Chi class for beginners as of the end of March/early April. The course is especially designed for adults 55 and older. Dozens of studies have shown that practicing the gentle Chinese exercises of Tai Chi can improve physical strength, mobility, flexibility, bone density, and sense of balance. 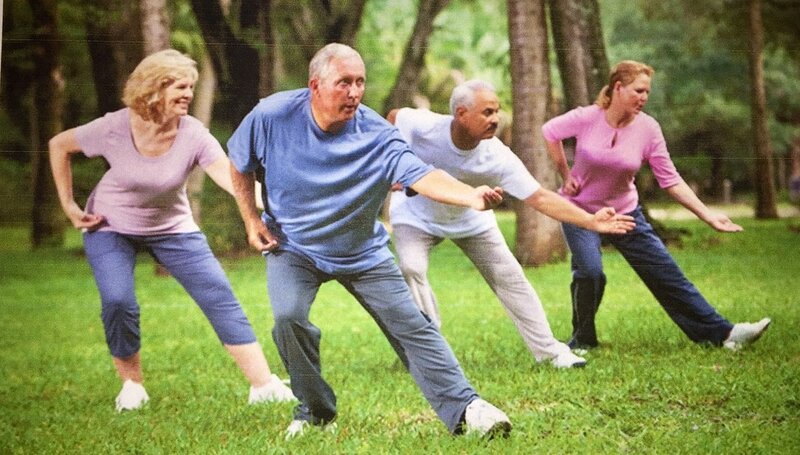 In one study, seniors who practiced a form of Tai Chi regularly were able to reduce their risk of falling by 47%. The class will be led by Bennett Daviss, a certified chi gong/tai chi instructor with the Oriental Healing Arts Association in New Hampshire; and previously a student in the Long River Tai Chi School in Brattleboro. The practice of Yoga was designed as an anti-aging agent. Drawing from over 20 years of experience teaching students - from beginner to advanced, children to seniors - Lisa Nigro is able to safely and expertly work with all levels of experience with regard to both inner and outer alignment. Her training in bodywork also gives her a sensitivity to hands-on adjustments so crucial to safety in a yoga class. Lisa also uses all her yogic tools to help students source their inner power and strength through a heart-centered, energized and challenging class which has careful attention to alignment, breath, inner focus & awareness, and most importantly, self-acceptance. Gentle yoga classes, sponsored by Westminster Cares, are held Mondays at 10 - 11:30 am, at the Westminster Institute on Route 5 in Westminster. The 90 minute classes are $13.00 to drop in or $125 for 10 classes over a 6-month period. For more information or to pre-register please email Westminster Cares or call 722-3607. A relaxed yoga class for people who want to move and stretch but not on the floor! This is a gentle series of stretches and postures done while sitting in a chair or standing behind it. We also practice effective breathing and relaxation techniques for daily well-being. 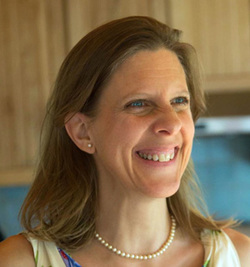 Bonnie Anderson is a certified Kripalu yoga instructor and has been teaching classes since 2001. From 2001 - 2012, she taught yoga in Burlington for UVM faculty and staff, Parks and Recreation, the After School Program, and as a sub for several yoga studios. She also led a class for people with MS at a conference in Montpelier. After moving to Bellow Falls in 2012, she taught yoga at Sprockets studio and the Stone Church. She is currently the director of the Bellows Falls Community Bike Project, where she actively promotes bicycling as a means of affordable transportation and good health. Classes are Fridays 9:30 - 10:30 am at the First Congregational Church of Westminster, 3470 US Route 5, Westminster, VT. $3 per class - registration and paperwork necessary. Contact Donna Dawson at 722-3607 or wecares@sover.net for more information. Westminster Cares and Putney Cares sponsor art classes on Wednesdays, from 10 am to noon at the Putney Cares Barn on Kimball Hill in Putney. Classes are open to all seniors from the area. Materials are provided. A visiting artist is available for assistance. There is a suggested donation. Sessions are held throughout the year with periodic breaks. For more information please email Westminster Cares or call 722-3607. - Join us for a healthy walk, every 2nd and 4th Wednesday each month at 9:00am. Meet at the Westminster Park-n-Ride on Westminster Heights Road (across from Green Mtn. Power). "Wednesday Walkers" is held in the spring, summer and fall. We will start up again outdoors, in the spring. Call 722-3607 for more information.